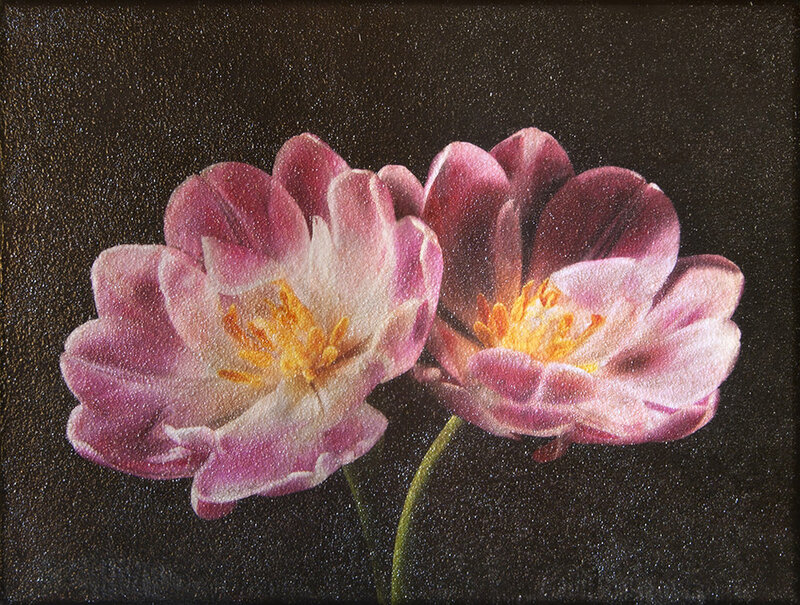 Steven Seinberg was born in Brooklyn, then later moved to Georgia, where he attended Atlanta College of Art for his BFA and Georgia State University for his MFA. Inspired by pioneering Abstract Expressionists such as Cy Twombly, Robert Motherwell, Mark Rothko, and Clyfford Still his work uses a formula of graphite, oil, and canvas to create these breath-like creations. Seinberg’s somber pallet, bold strokes, and poetic line work connect the outside world with motion as incessant and loss being inevitable. Seinberg is continually inspired by the biological senses, environmental factors, and emotional responses to these surroundings. His use of earth tones and bold strokes provide these mesmeratic applications, leaving the viewer in a transcendence of time and space. Bill Lowe Gallery presents artistic impresario Jimmy O’Neal in a stunning new exhibition titled, Adrift Within A Long Loving Look. This show continues his two-decade-long exploration/expansion of the physical and metaphorical capabilities of paint as a medium. This cinematic body of work is composed of his signature mirrored paintings, taken to yet another level of surface complexity and opulence. Jimmy utilizes his technological innovation of “mirrored paint” – or “pigmentless paint” – to interpret the reality of the in-between, the space in which we exist during the shift of paradigms. Using the experience of a hot air balloon ride as the conceptual starting point, Jimmy’s work reflects the experience of a gradual movement - or transcendence - into a state of weightlessness, untethered by static landscape, or boundaries of traditional time and space. We are suspended in this reality, looking into and back at ourselves as we drift amidst a constant flow of information and data. Capitalizing upon rigorous classical training that includes a mastery of draftsmanship, O’Neal creates visual experiences that facilitate a dialogue between a viewer’s emotional interior and universal impulses – or emanations – that forge what’s beneath the surface of our awareness. He sees this realm as one of visual poetry, harmonic in nature, composed of frequencies that surround and interact with our senses; this is the multi-dimensional Universe and our journey becomes a memory of material form – of matter. As we are carried into higher octaves – as the journey becomes accelerated, or slows – this non-existence is a spiritual contemplation, a rumination on the current state of cultural consciousness. 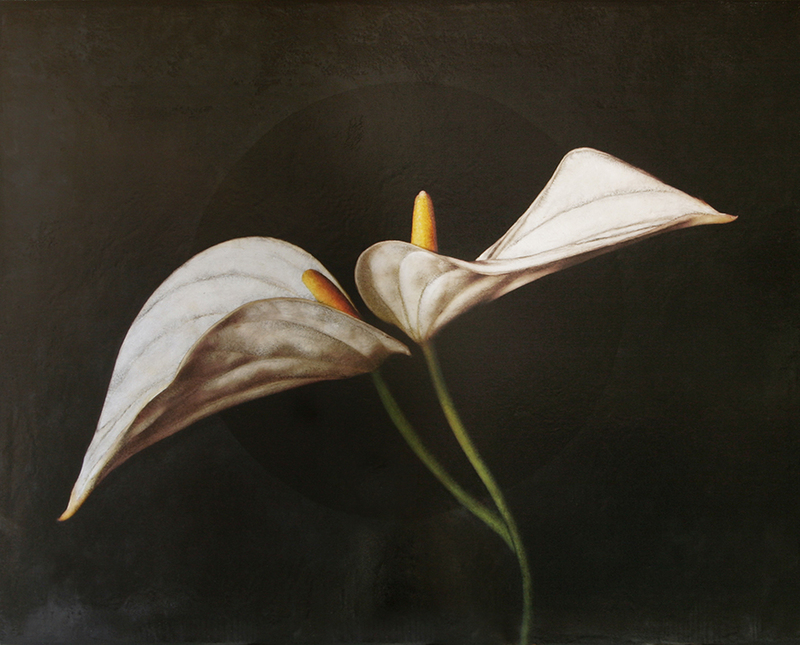 Bill Lowe Gallery proudly announces our exclusive representation of the Estate of Herbert Creecy (1939-2003). Heralded as the most significant Abstract Expressionist painter ever to come from the South, Creecy’s work can be found in the permanent collections of several museums, as well as in a vast array of blue-chip corporate and private collections. His experimentation in new methods of painting allowed his works to transcend time and push traditional spatial boundaries. A carefully curated collection of Herbert Creecy’s never-before-seen paintings at Bill Lowe Gallery shines a new light on this historic artist. Bill Lowe Gallery proudly presents Reprieve: The Gospel of Beauty, an exhibition of dramatic new paintings by Atlanta’s most beloved female artist, Maggie Hasbrouck. 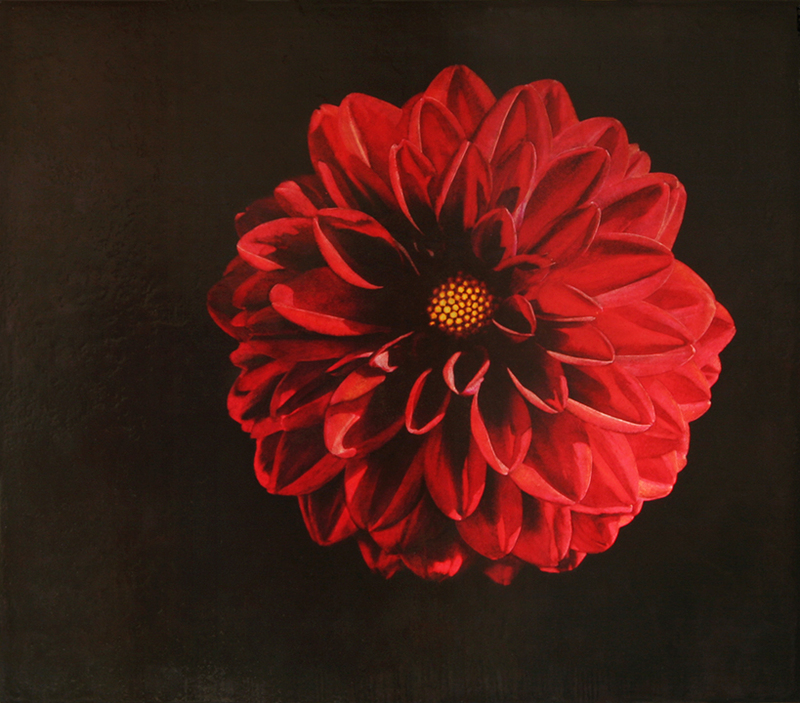 In her latest body of work, Hasbrouck returns to dramatic depictions of flowers – often single blooms – at the apex of their transformational beauty. 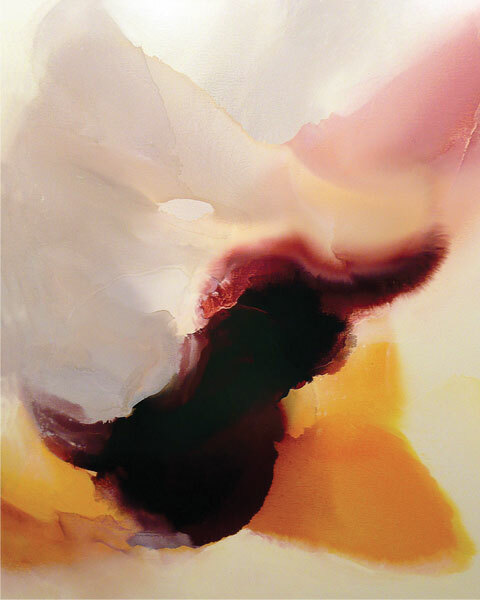 The vibrancy and sensuality of these images is heightened by the artist’s recent incorporation of glass crystals into her technique. Hasbrouck melts these crystals over multiple layers of oil paint, dry pigment, and organic beeswax, resulting in a lustrous layer that enhances the mystery of the work. Throughout the course of her career, Maggie’s technical ingenuity and imaginative subject matter have helped her gain recognition from collectors and critics alike. Maggie Hasbrouck and Bill Lowe share a similar vision for art – that the works strike a deep emotional chord within the viewer that lingers as a resonant and soulful presence long after initial viewing. 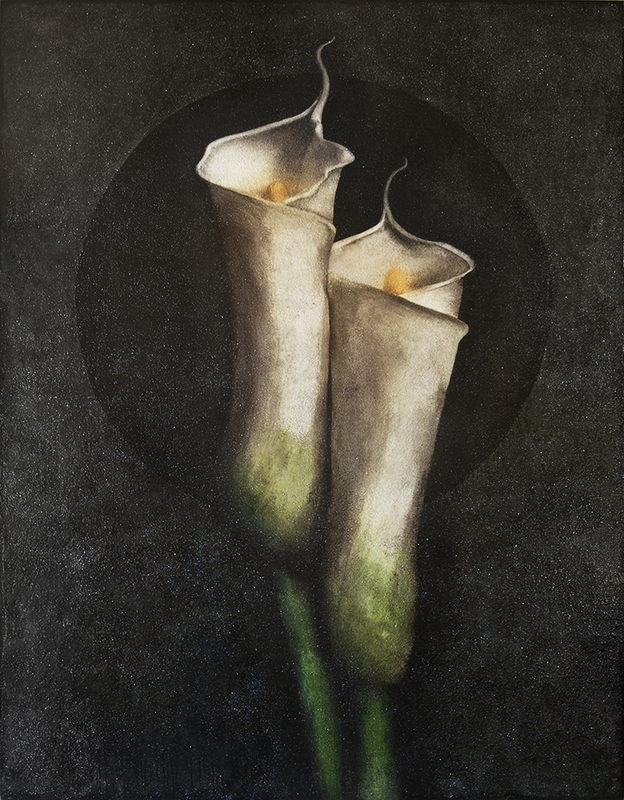 Maggie’s paintings possess a deep emotionality that is achieved through a rich, dark picture plane illuminated by an enigmatic light source. The flowers seem to exist in a state of Grace, in-between reality and a dream-like state of transcendence. Maggie has been living and working as an artist in Atlanta for almost thirty years. She began receiving major national acclaim in the early 1990s when her work was collected by celebrities including Elton John, John Mellencamp, Faith Hill, Jon Bon Jovi, and Courtney Cox, as well as a broad cross-section of collectors across the United States. Her work is the epitome of the intersection of classical beauty and contemporary concept. To this day, Maggie Hasbrouck remains one of the best-collected female artists in the South and a growing force on the national stage. Introducing new works by Mozambican artist Ilídio Candja Candja, Portuguese artist Mario Henrique, and Nigerian artist Gerald Chukwuma. In his paintings, Mozambican-born artist Ilídio Candja Candja assembles a kinetic yet balanced universe of imagery through his playful and dynamic marks. Executed in a style resonant with Abstract Expressionism and Action Painting, his works are characterized by spontaneous and confident brush strokes. Inspired by his heritage, the riot of colors, personal symbols and African textile prints all serve to infuse his canvases with both a psychological and visual vibrancy. These painted collages by Candja are a compelling combination of cultural reflection and personal symbology. From abstracted backgrounds arise restless figures that belong to the artist’s own constructed mythology. Impulsive and aggressive brushstrokes that reference action painting come together to create blurred ghosts, demonic entities, arachnids, and skeletons. An enigmatic tension arises in the work with the layering of more subtle geometrical and mathematical objects, photographs, and decorative elements taken from traditional African art and textiles. 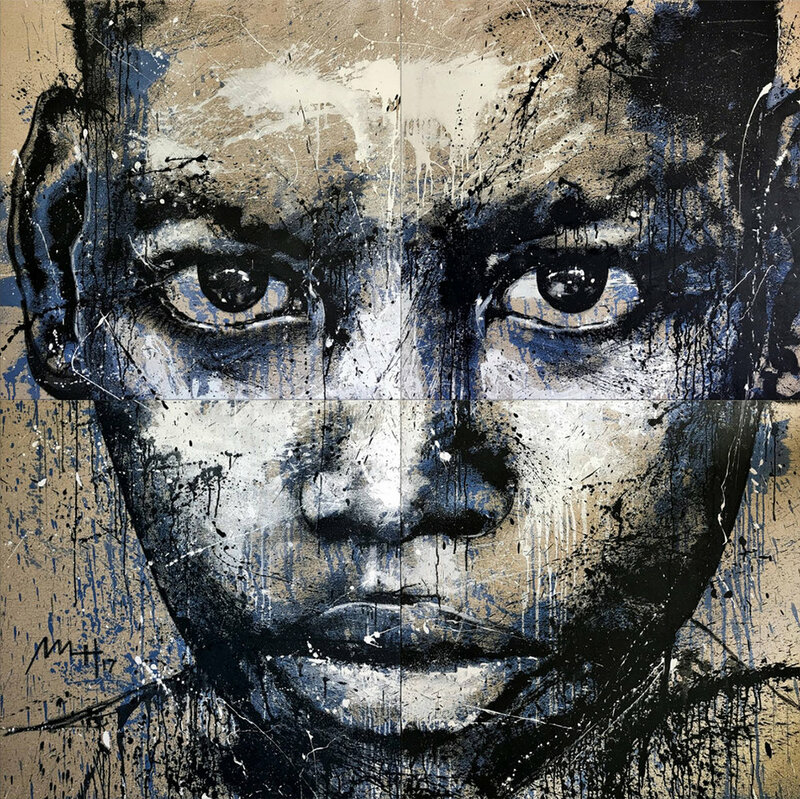 Candja Candja’s art is a contemplation on the African culture through the pursuit of exploring his own restless spirit. 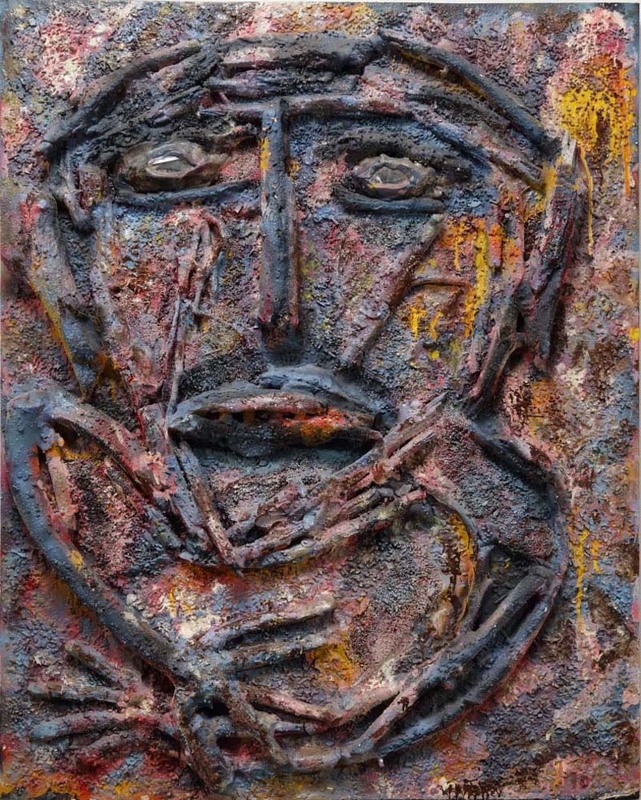 Born in Emelle, Alabama in 1928, artistic giant Thornton Dial - who never learned to read or write - rose to the pinnacle of contemporary art history over a thirty year trajectory that began as he approached 60 years of age. He died in 2016 at the age of 87. Dial's much-heralded retrospective, Hard Truths, launched from the Indianapolis Museum of Art in 2011 and subsequently traveled to the New Orleans Museum of Art, Mint Museum of Art in Charlotte, and the High Museum of Art Atlanta. The exhibition met with immense curatorial and critical acclaim and aroused a swell of high-profile media commentary, including Time Magazine, Wall Street Journal, and the New York Times, as well as features on CNN and Al Jazeera. His recent and upcoming exhibitions at the esteemed Metropolitan Museum of Art in New York, San Francisco’s De Young Museum of Art, Philadelphia Museum of Art, and Atlanta’s High Museum of Art underscore the acknowledgement of Dial as a cornerstone of a new view of Western art history. These shows position Dial's magisterial assemblages and delicately finessed works on paper as pillars of a new, more complete investigation of art and culture. Having received the sanction of America’s premier curatorial, critical and collector communities, Thornton Dial is now ranked in the pantheon of artistic titans that include Pablo Picasso, Mark Rothko, Andy Warhol, Jackson Pollock and Jean-Michel Basquiat. Join Bill Lowe Gallery celebrate it's 28th anniversary while enjoying new works by Sicilian artist Fabio Modica. 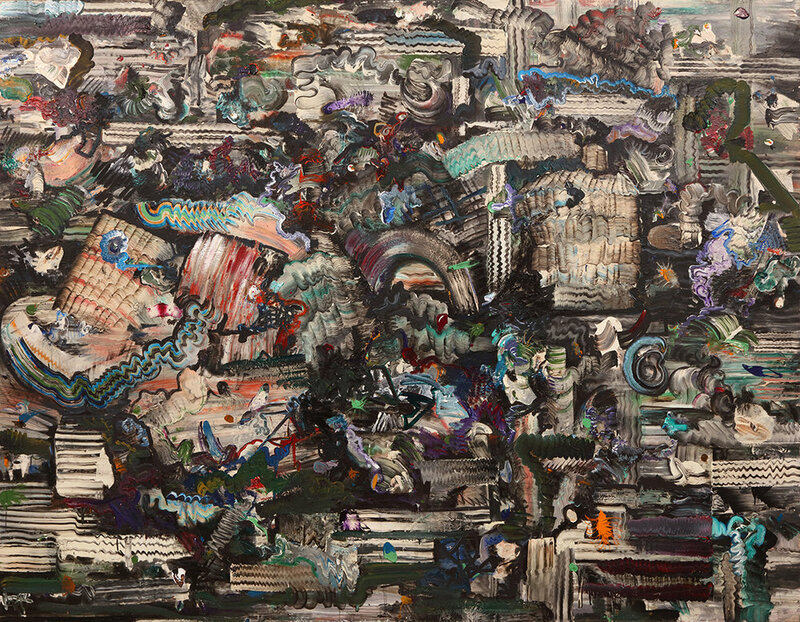 Indian artist HemRaj makes his North American debut at the Bill Lowe Fine Art Gallery in Atlanta, GA, USA. SPRING HAS SPRUNG and to celebrate the Bill Lowe Gallery and Bloomingdales at Lenox Square Mall have partnered for Art in Bloom: a collaboration for Spring. Join us for champagne and enjoy art and the latest fashion trends. Sunday, March 26, 1-4 pm. Bill Lowe Gallery presents Separated Land: Agartha, the latest of a series of exhibitions shown in both Atlanta and Lisbon by Fernando Gaspar. In this third iteration of the Separated Land series, Agartha, the legendary civilization said to exist at the Earth’s core, becomes the analogy for the austere manner in which we contain our innermost anxieties, strife and turbulence. In these paintings, Gaspar’s journey has grown introspective, revealing light through sudden veils, protected and revealed by rigorous lines, like boundaries. In this latest body of work, renowned Atlanta-based artist, Maggie Hasbrouck has returned to themes that have captivated her audience for decades. The yearning for flight. The mysterious, sensual beauty of flowers at the apex of their decadency. The ephemeral place between dream and memory where ours souls transcend the ordinary. Composed of antique wallpaper, dresses, objects and toys from the artist’s youth, silk flowers, steeped tea bag paper, piano pieces, hand-carved book covers, old reels and even the receiving blanket she shared with her mother, these compositions possess a haunting beauty. Her use of glass and, more predominantly, an acrylic gel medium amplifies the anointed items; they become crystalline and calcified – like the interiors of caves. In this series of large-scale works, Bassmi Ibrahim escapes the confines of conventional applications of paint by abandoning the bravado of the brush to reveal purity of color and form. Utilizing “pours” of luscious and hypnotic veils of colors layered onto white grounds, Ibrahim creates enigmatic and seductive manipulations that depict more than a current experience - a brief lull. Instead, these paintings document the experience of “intuitive knowing” - connecting with one’s higher consciousness, the “soul self” - leaving behind the physical “self” as in the sublimity of the meditative state. Frank Schroeder's new series addresses universal and eternal themes rooted in a contentious dynamism between opposing - but intricately related - spiritual and emotional realms. In a scale typically reserved for historical painting, Schroeder draws distinct lines between ancient and classical narratives with the psychological zeitgeist of contemporary culture. These are often presented with excruciating poignancy in overtly, religiously-inspired tableaux composed of enigmatic archetypes that challenge the viewer into existential exploration. Archaeologists have discovered exquisite expressions of humanity’s connection to a higher consciousness dating back over 35,000 years. The Pacific Ocean harbors innumerable islands where relatively isolated cultures create ceremonial sculptures, carvings, and masks that connect their people to the natural and supernatural worlds. These concepts are displayed with pieces like the 15th century Head of Buddha and the Slit Gong drums from Vanuatu and Papua New Guinea. The Slit Gong Drums of Vanuatu are depictions of ancestors, spirits and deities whose “mouths” function as the sound piece of the instrument. There are usually two drummers striking the sculpture with sticks at different intervals along the opening creating a multitude of sounds. These Slit Gong Drums are truly talking gods, with human features. Claire Begheyn’s sea shells, flowing across architectural antiquities, embrace the organic in every way. The beauty of these shells, constructed by the vulnerable creatures that created them as their home, is expressed in the progression of each piece. Balanced but not perfectly symmetrical, the works echo the harmony and eccentricity of nature’s display. Begheyn pairs this natural beauty with the ornate opulence of rococo styled wooden features that emulate nature with stylized leaves and organic shapes. The word “rococo” is, in fact, a blending of the Italian word for stone and the French word for shell. Begheyn does not shy away from the idea that her pieces are ornamental and decorative but trusts in the virtue of the shell itself and her deep intuition to evoke notions of home, protection, beauty and elegance. Fabio Modica is an Italian painter whose first love was Renaissance representational styles. But after a mentorship with expressionist painter Antonio Santacroce and a journey through Mexico, he developed his signature portraits. 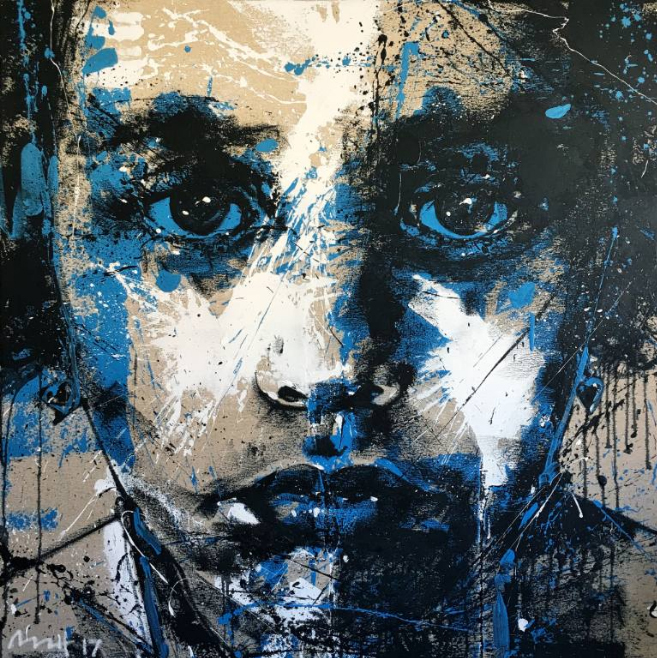 His work is characterized by a piercing, enigmatic quality achieved by a spur-of-the-moment technique that employs thickly textured paint applied with a palette knife. Modica’s paintings act as a portal through which the mesmerizing visages of entities so dreamlike they seem as deities gazing up upon us with a seductive and compelling spontaneity. Romanian-American artist Daniel Motz presents Reliquaries for the Machine Age, a re-envisioning of discarded mechanical components into intricate assemblages that serve as an archaeological record of where we’ve been, and who we were. These objects became the detritus of the Machine Age - building blocks in the bridge to new technologies and the digital revolution. Motz’s broad background in film-making informs his unique visual poetry, which takes form as tableaux of time - built of components that were designed and mass-manufactured to produce minute bits of work for very specific functions. His works become shrines to a by-gone era of machines and industry; they allow cogs, springs, wires, metallic and plastic minutia to transcend their former intended lives, while creating a platform in which they flourish as elements of art. Each piece makes a mark and creates a moment – in a way it could never communicate in its former use. Motz’s magisterial constructs are quiet, powerful and masculine; they possess a solid, ordered presence. But their anthropological quality broadens their appeal to all seeking discovery of past identity. The viewer gets a sense that the objects, which are sourced from typewriters, movie projectors, film cameras, reel-to-reel tape decks, bicycles, vacuum cleaners, household appliances, photo enlargers, printers, etc. have somehow been rescued from the graveyard of the landfill. At the same time, his reconstruction of disparate elements is done in a manner that evokes a sense of futuristic cities that might exist in post-historical civilization. Many are even finished in a matte black spray paint that unifies the culturally diverse and obsolete fossils into a singular piece designed to hold the ruin of our mechanical past in a beautiful reliquary. French-African painter Frank Schroeder presents Françafrique: Impulse, Desire & Decorum. In his North American debut exhibition, Schroeder’s work explodes with vibrancy of color and breadth of expression, coupled with a modernistic use of line and an evocative Neo-Expressionist style layered with a patterned use of numbers and text. The works tell intricately woven stories of biblical themes and personal experience blended with psychological and emotional confessions. They address his fascination with the rhythms of life and the notion of redemption. In these paintings, Schroeder struggles with the dichotomy of decadence and decorum. The tension in these pieces reveals his yearning for indulgence, but also for absolution. An unforgiving intellect probes the realm of the heart and soul. Schroeder was born to a French mother and a West African father, gaining an ethnicity spanning continents and divergent cultures. His family moved to the Ivory Coast, where he suffered through the First Ivorian Civil War. He retreated to an inner creative world he describes as “dark and sometimes near death.” He found solace studying the philosophy, literature and artwork of the 19th and 20th centuries. In 2004, his gallery in the Ivory Coast was ransacked in the aftermath of the revolt and all his pieces were destroyed. Later moving to Europe, he has emerged from a tumultuous childhood and a soul-crushing artistic debut to become a powerful new voice of cross-cultural relevance.